As part of our maintenance package we offer an emergency locksmiths service 24 hours a day, 365 days a year. Whether you’ve locked yourself out, come home to a smashed window or break in, Hughes Glass are here for you. Our trusted emergency locksmiths can help to repair and install your window, door and conservatory locks, offer energy efficient home upgrades and complete home security. You pay for a service, not for how long our locksmiths are on site. Our service fees ensures there are no nasty surprises once the job is complete. We appreciate it’s not nice being locked out which is why no matter where you are in the UK, we always aim to get to you within 2 hours. Lost your keys? We know accidents can happen at any time of the day which is why our experienced locksmiths are available around the clock, 24 hours a day. Why should you choose Hughes Glass? Realistic Arrival Times. 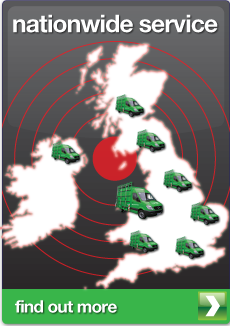 Hughes Glass has over 340 locksmith engineers nationwide which means we can get to you in most locations within an hour. Your emergency locksmith engineer will arrive at the time we initially give you when you first get in touch with us. We’ll even give you call when your locksmith is on their way! Our time doesn’t cost you a penny. We don’t charge to come out to your property, we only charge for the services you receive on site, for example getting you inside your property, or changing the lock. It doesn’t matter how long the job takes to complete! All of our engineers are CRB checked. We also have public liability insurance for £5m and are NVQ and IOSH qualified. All of our locks are high security BS3621 approved. which means they fully comply with your insurance requirements. We know how important the security of your home is which is why we only fit high security standard locks. We service over 100,000 customers a year. Hughes Glass are the preferred supplier compared with most of the top 20 insurance companies in the UK. Servicing over 100,000 customers per year we are the largest emergency locksmith company with the most engineers. We have a wealth of experience in all types of locks and the techniques required to get you back into your property – which we will do quickly and efficiently with minimum fuss. There are no nasty surprises when the job is complete. The price you pay is the price we quote over the phone before any work has started. We don’t charge you for our time, no matter how long a job takes! All of our work comes with a 12 month guarantee. We’ll even get in touch towards the end of the 12 month period to make sure everything is ok – so you’ll never miss out on making the most of your free 12 month guarantee! Hughes Glass are here for you 365 days per year, 24 hours a day. Our call centre based emergency locksmiths are available round the clock, so not matter what time of the day you call there is always someone there to help. Our prices are the cheapest you’ll find. We regularly compare our prices with other local emergency locksmiths.